Bored in your office? Did your coworker just prank you and you’re wondering how to get him back? Is your boss constantly stealing your paperclips and you don’t know how to keep his mitts away from your desk? 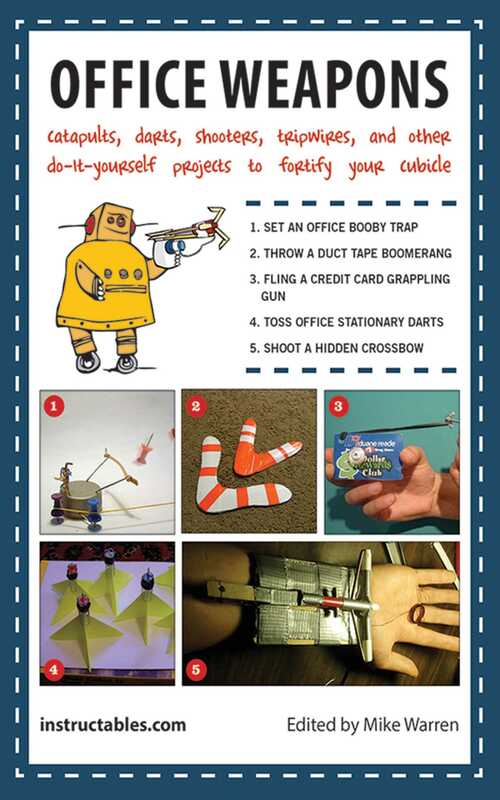 Office Weapons gives you the complete step-by-step instructions for thirty different daring office pranks. Check out these simple but effective weapons fashioned from office materials and be prepared next time someone borrows your special stapler or leaves the copy machine jammed. These projects are made by the best in the business; the office workers who actually need them! They say necessity is the mother of invention; leave it to the Instructables community to put that theory to the test!